I had so much fun joining eleven other fab girls to share some fall ideas around our homes. Did you get to visit all the blogs and leave with some inspiration? Well, here is a little recap and links. I always look forward to seeing how Mary decorates her garden shed and she never disappoints. Oh, Mr. Savvy, I am still waiting for us to start mine. Shirley went all out sprucing up her porch. Fabulous! Yvonne has a way with styling vignettes and this fall zinc display makes me want to go buy some zinc buckets. Courtney can even make a vintage door and flowers for fall look romantic. I didn't even know Kim could be so crafty. She shared not one, not two, but three fall front door ideas. 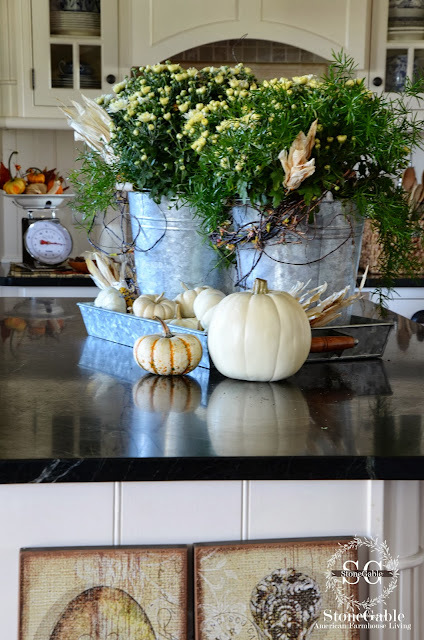 Kristen just moved in her home recently and still blew me away with five fall centerpiece ideas and I don't know which one I like best. Dawn has such a cute cabin all decked out in a cute farm style and she added fall touches to her master bedroom. Ann's porch looks good any season and she warmed it up for fall with throws, pillows, and cute pumpkins. 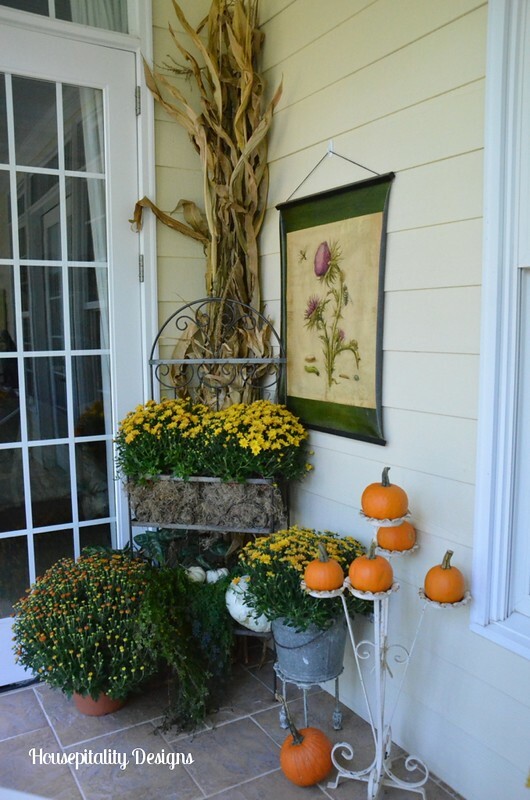 Laura shares how she added fall around her home. I think I need to go over for a glass of wine outside. 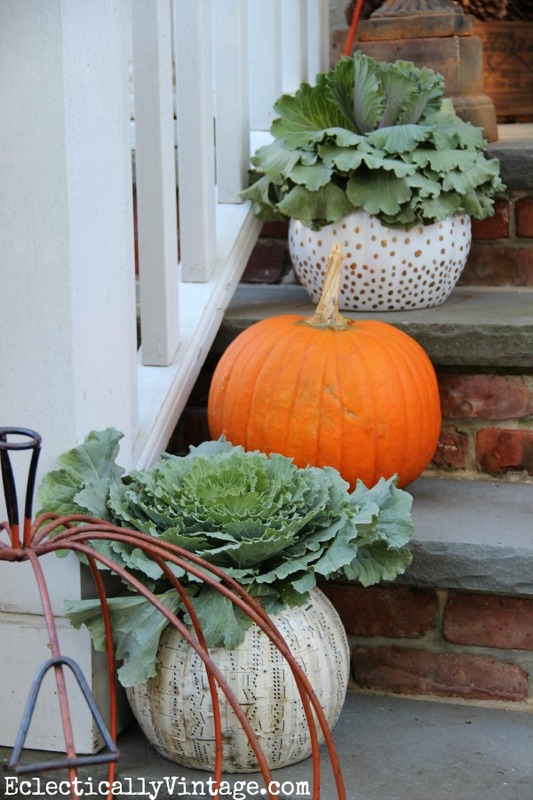 You will find some unique uses for fall decor on the front porch by Kelly. 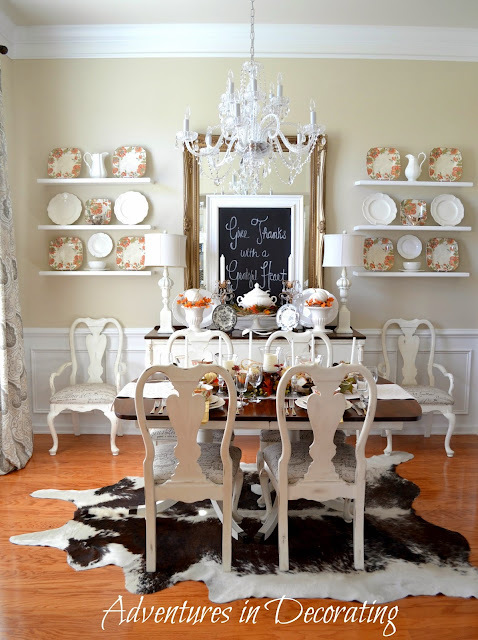 Be sure to visit Becca'a beautiful fall dining room. And lastly I hope you didn't miss my fall sunroom. Nul doute, nous avons bien franchi le seuil de l'automne en admirant toutes les belles photos de votre dernière publication. They are all so beautiful! Oh my, I want Mary's adorable garden shed and I can see why you do too Kim. Truly a great Fall Tour!! !